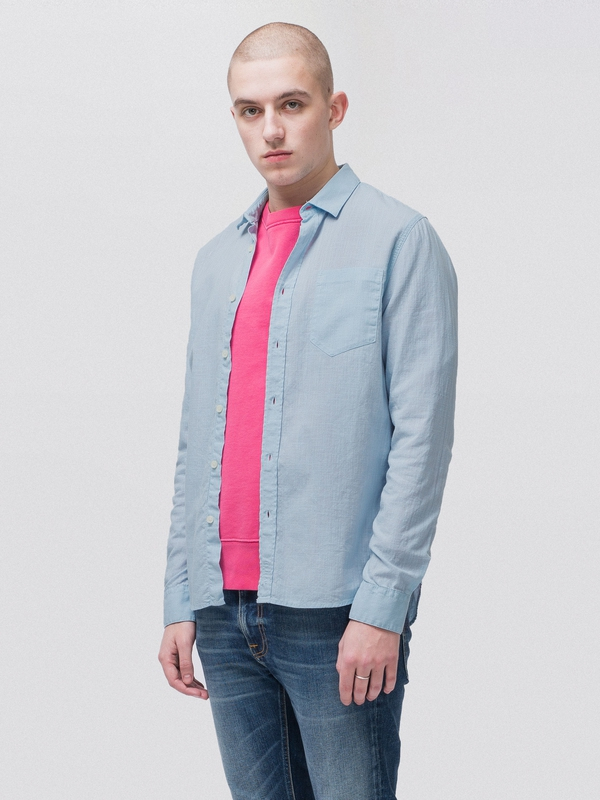 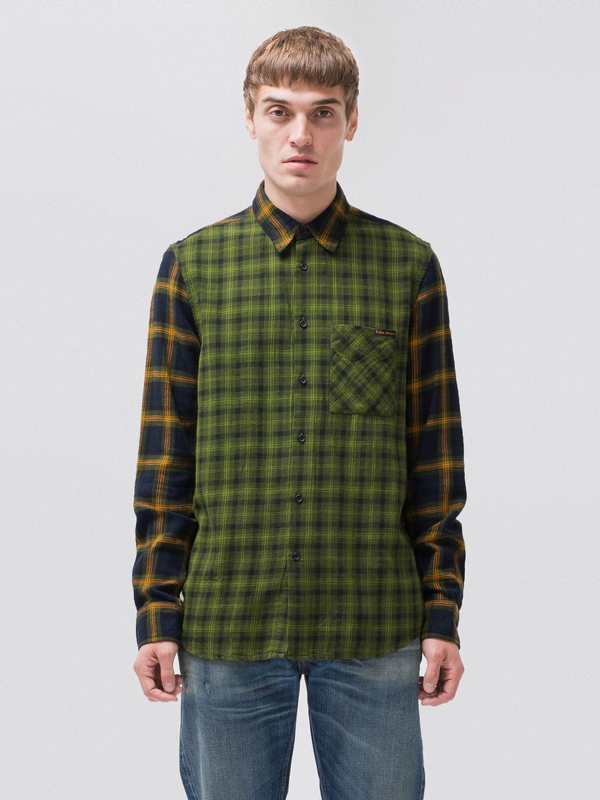 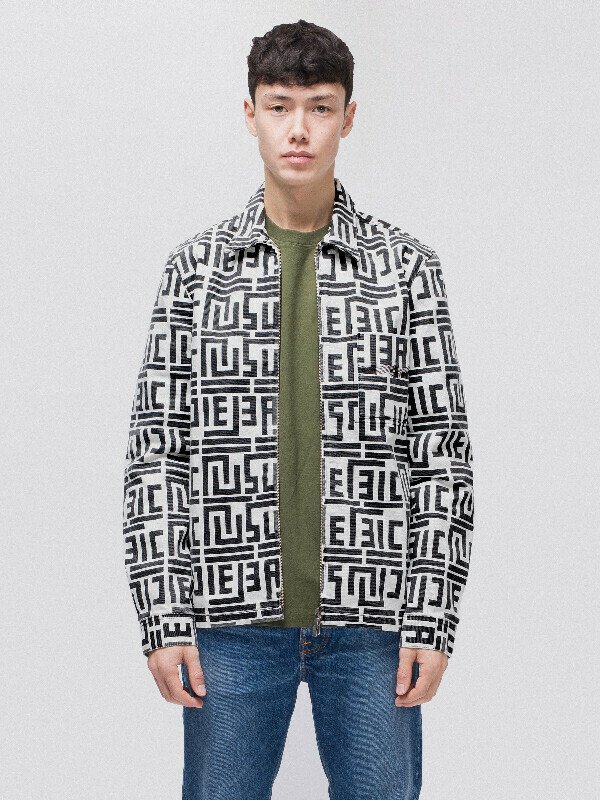 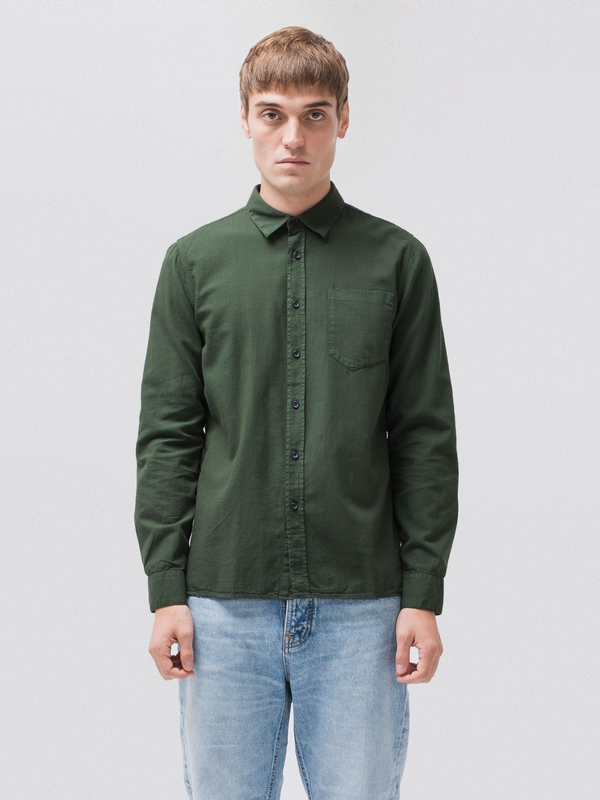 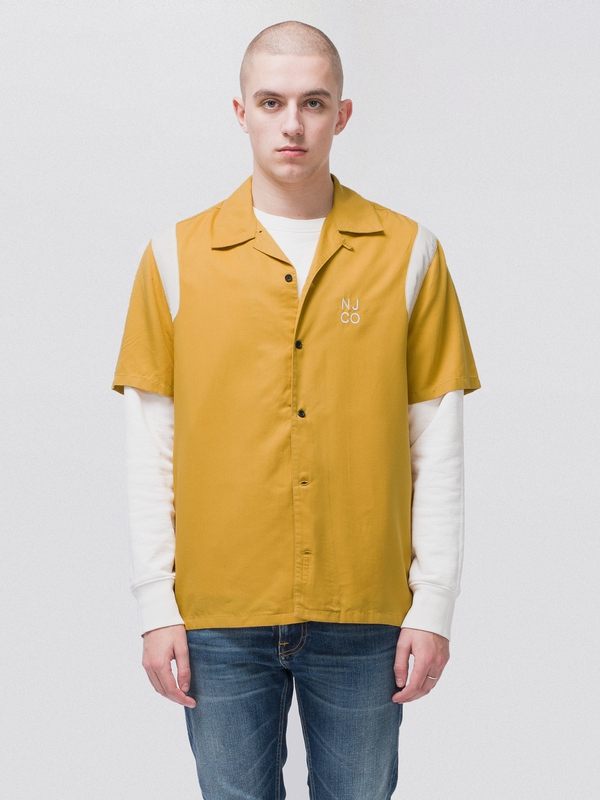 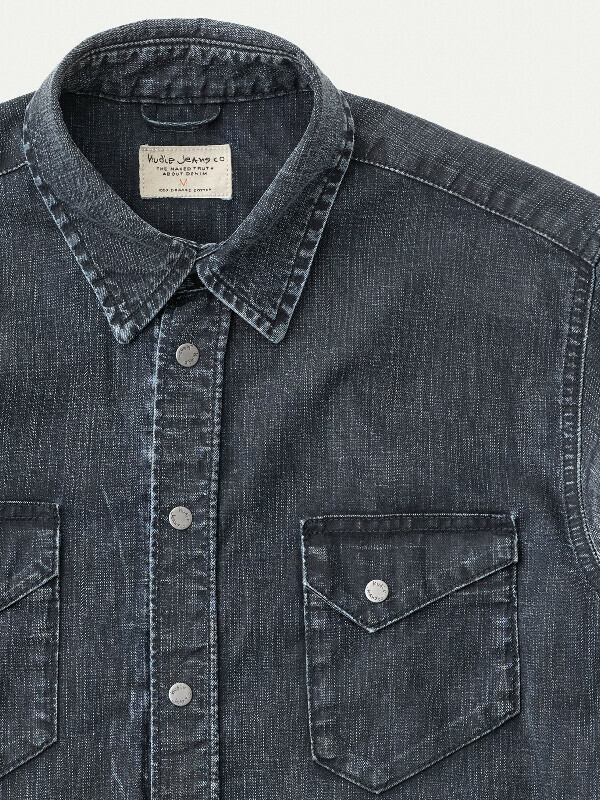 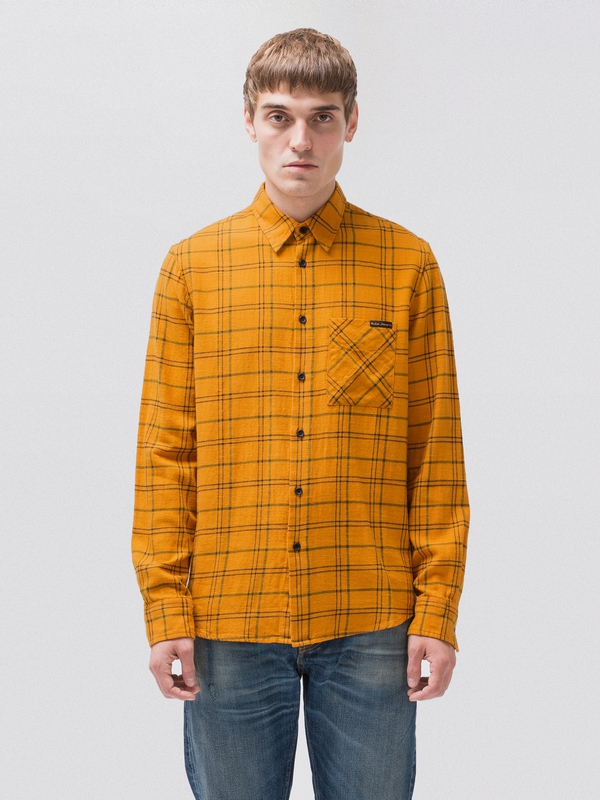 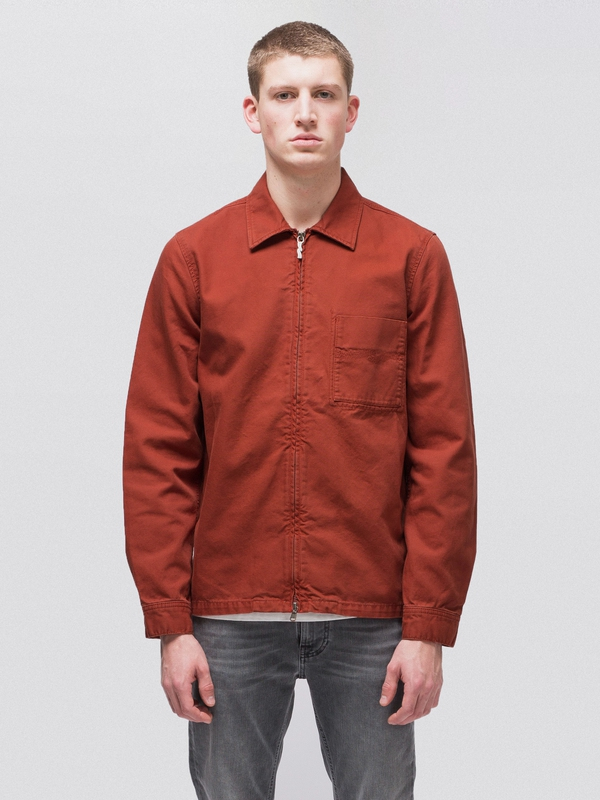 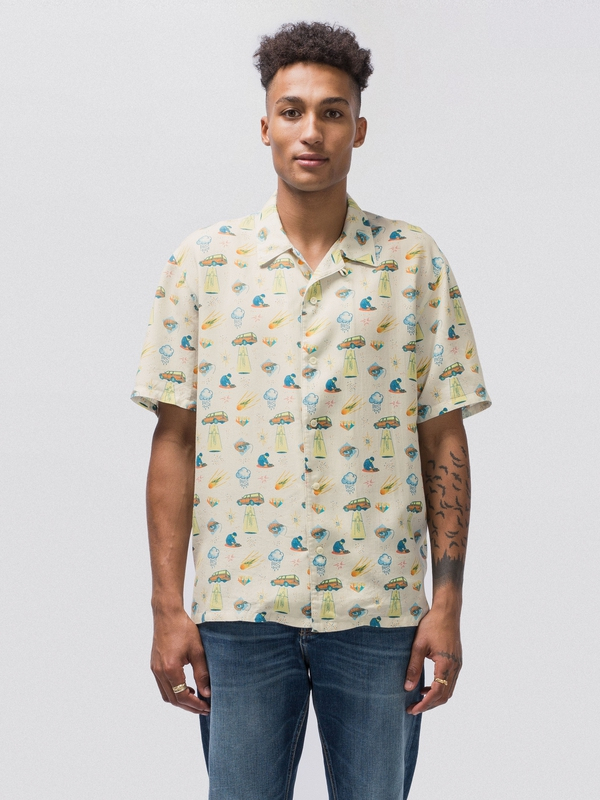 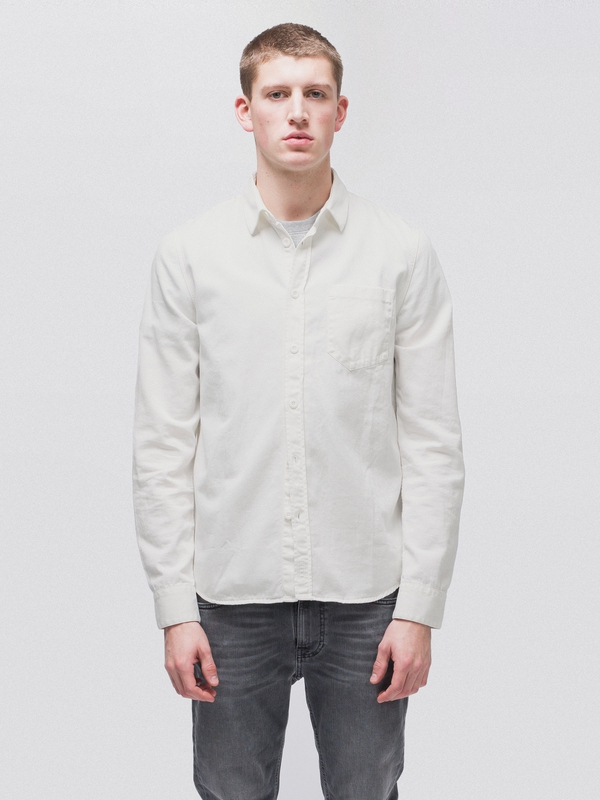 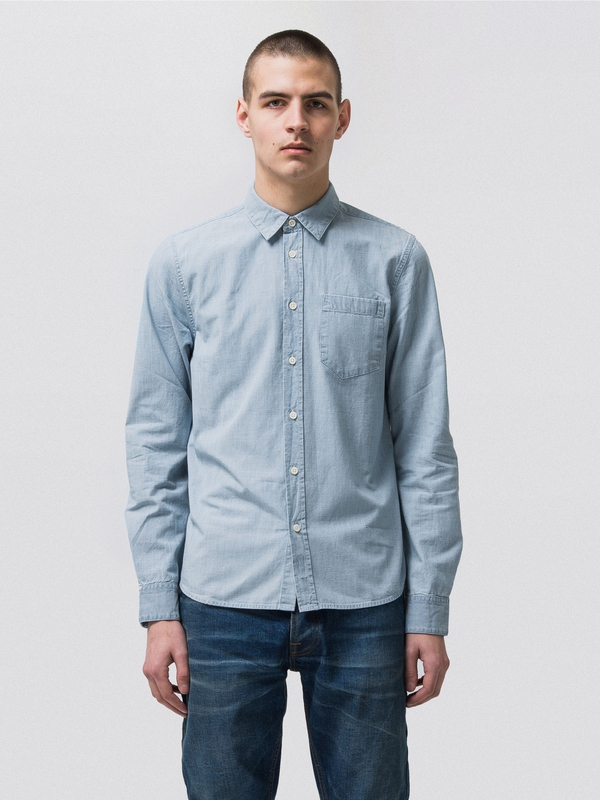 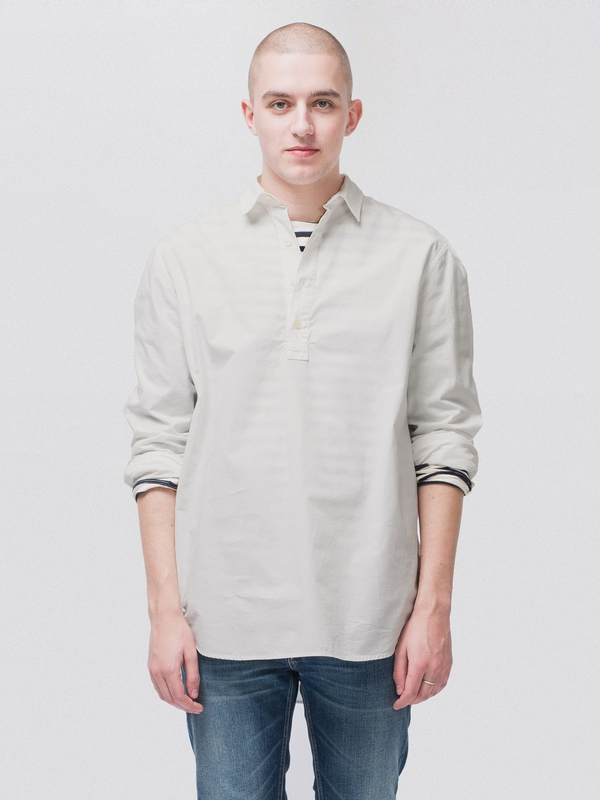 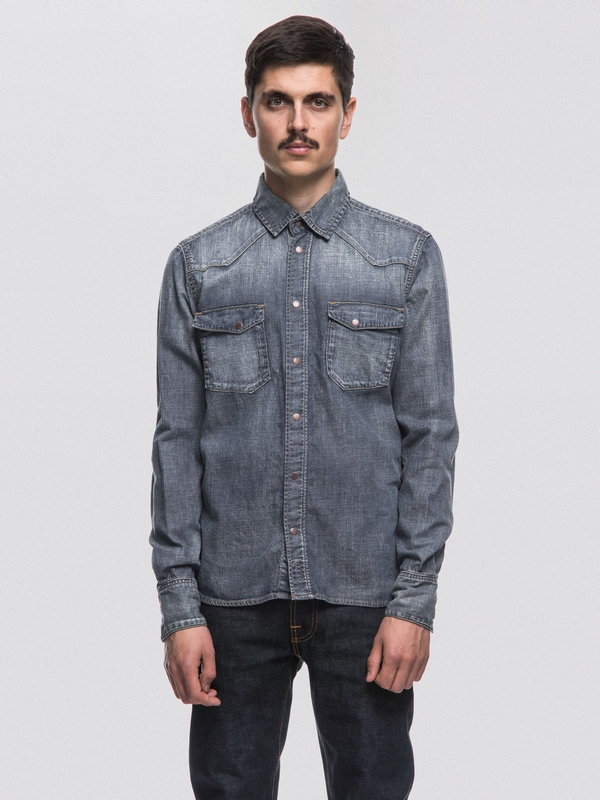 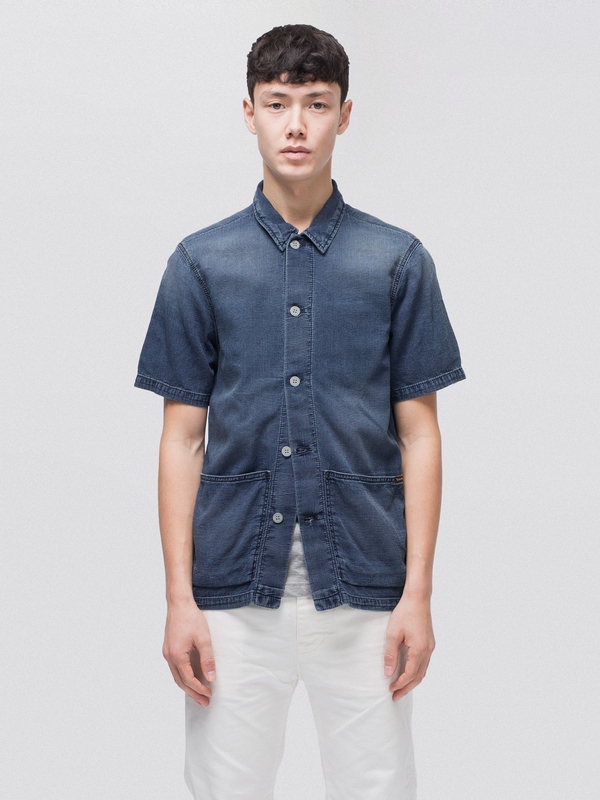 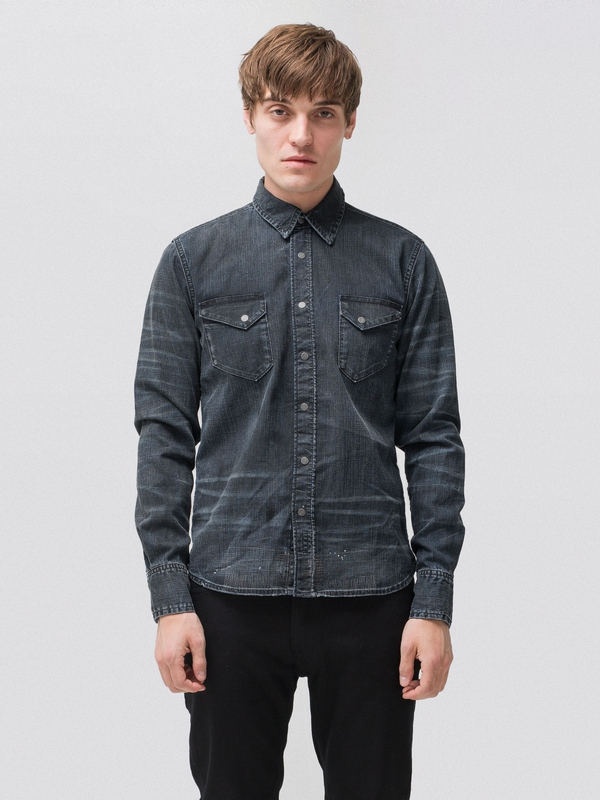 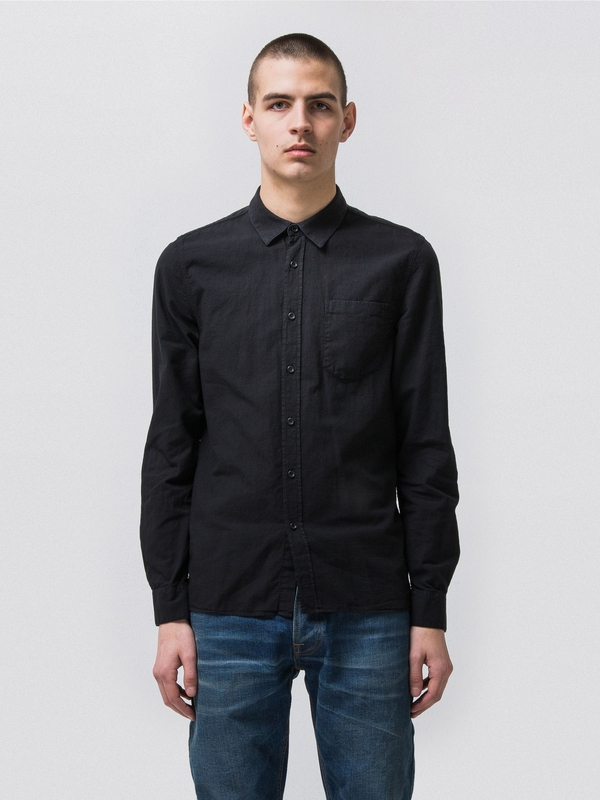 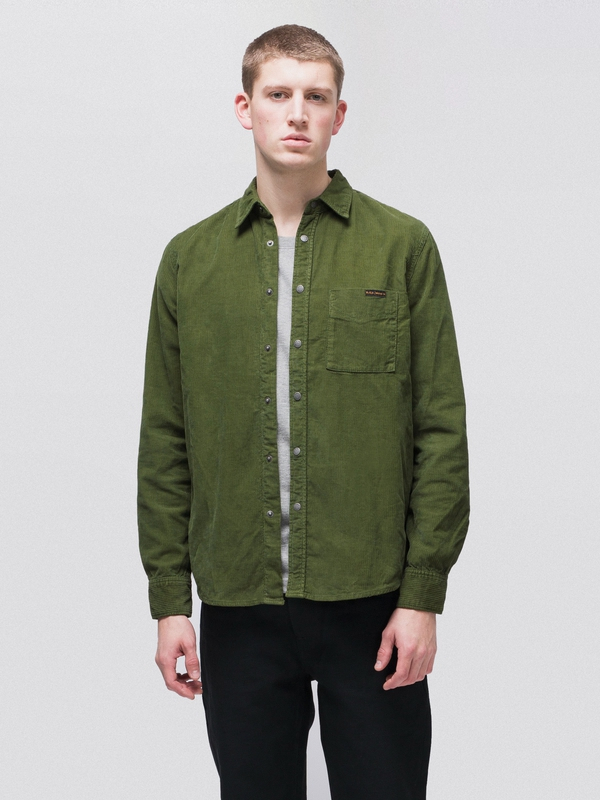 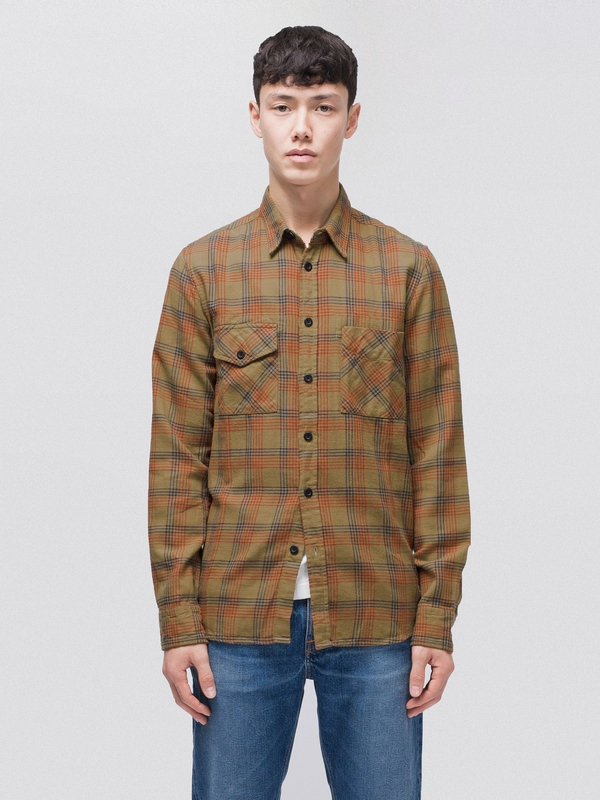 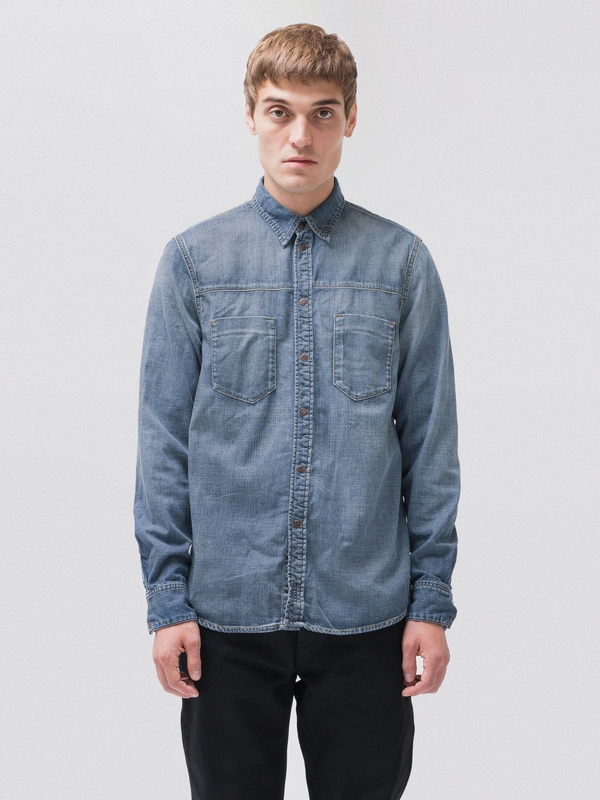 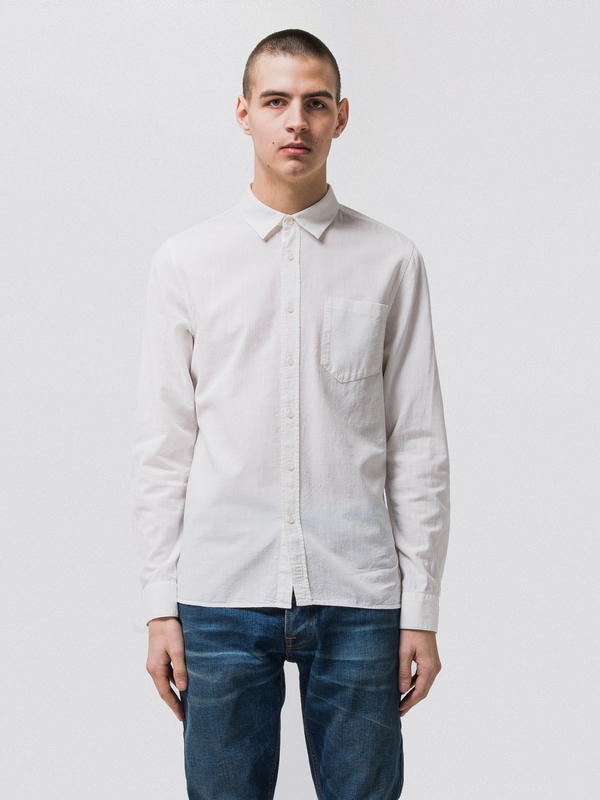 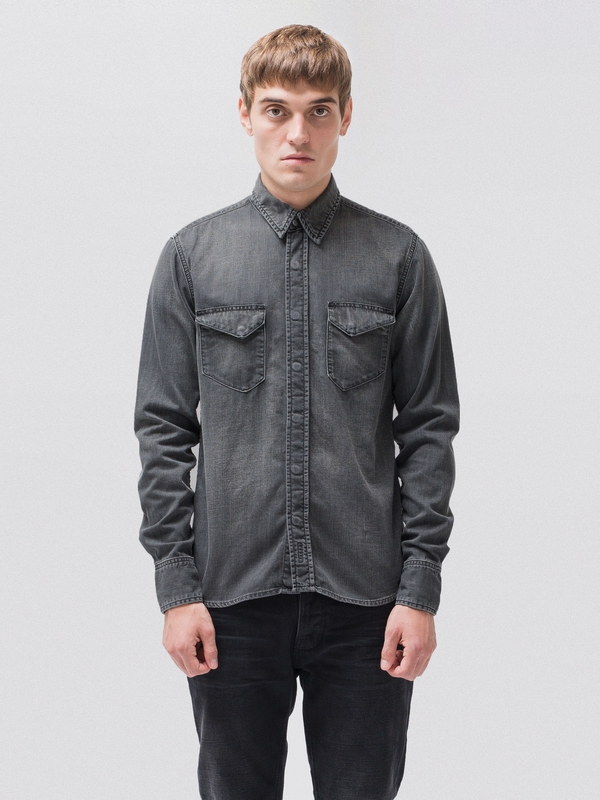 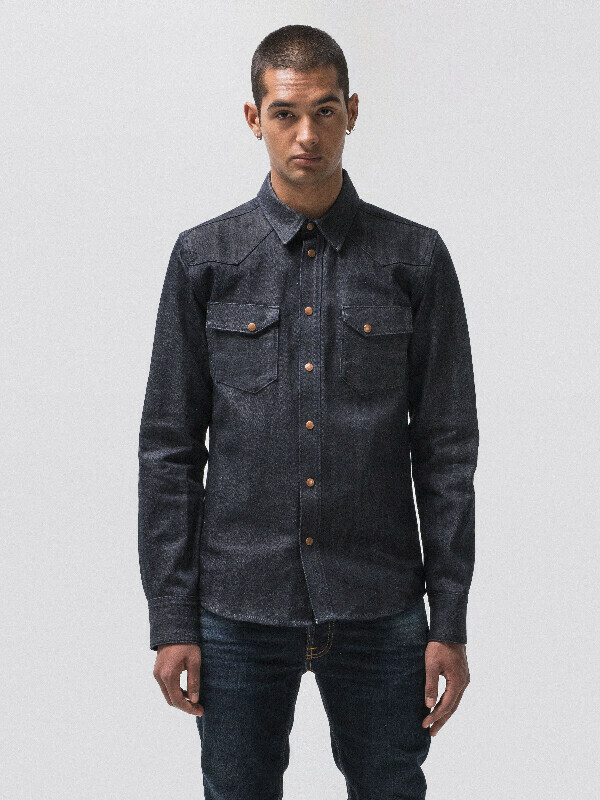 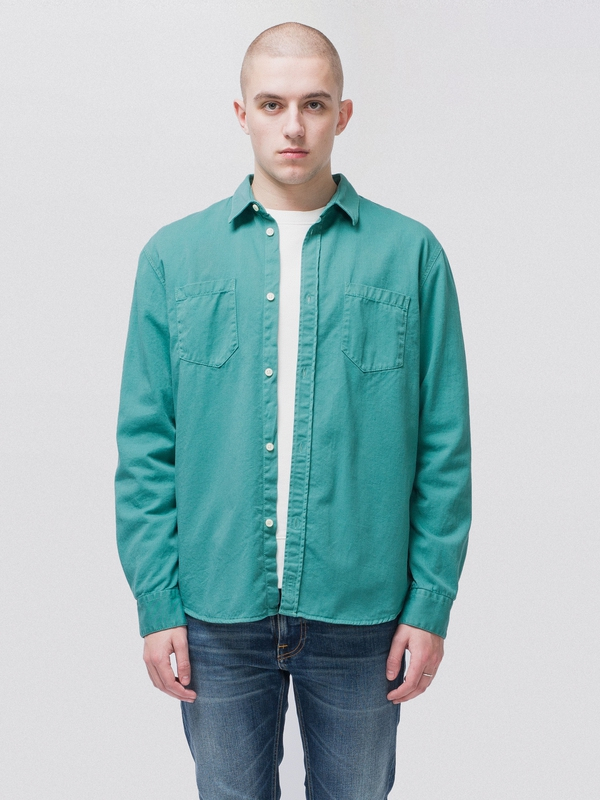 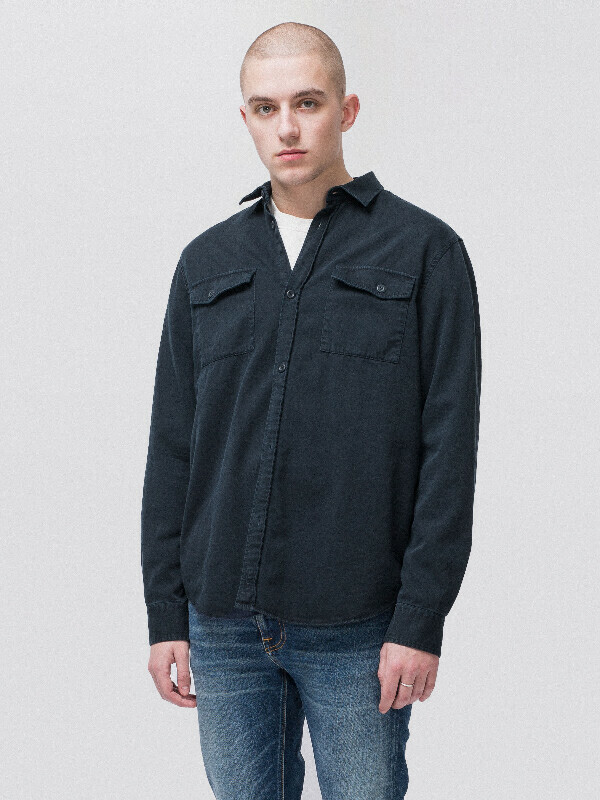 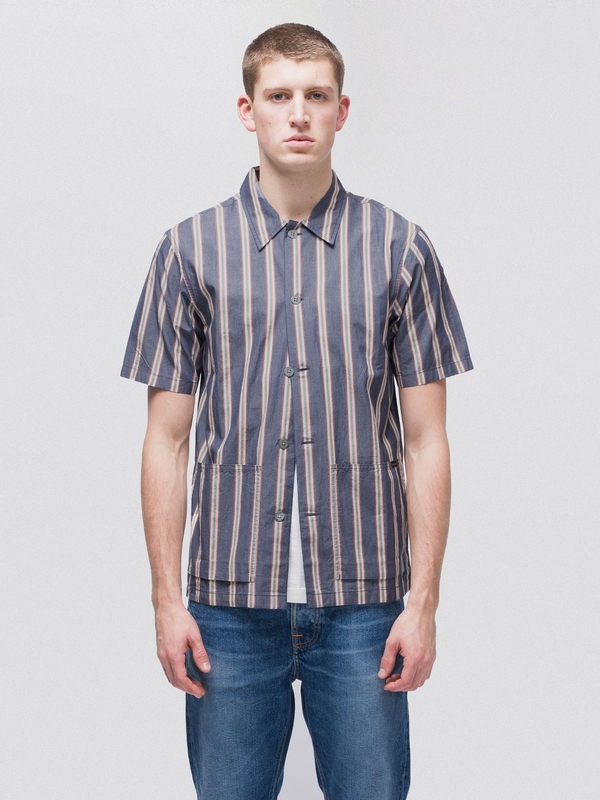 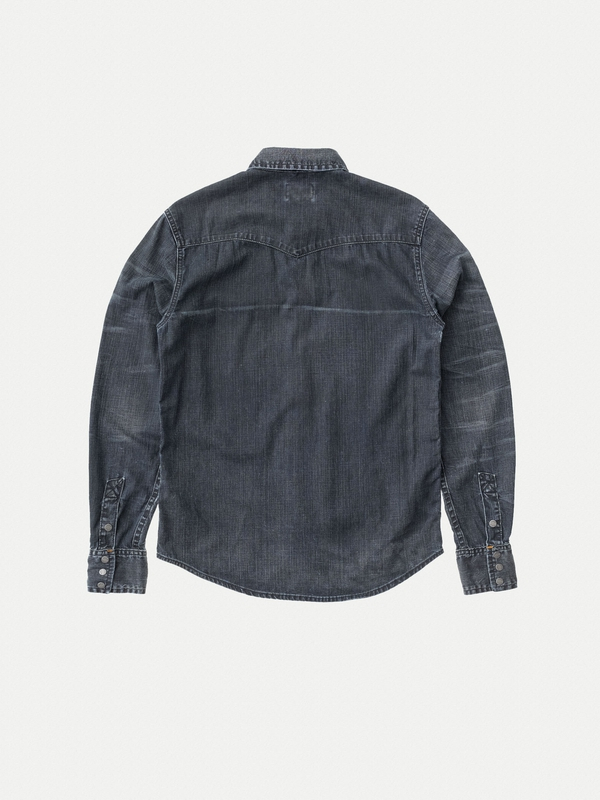 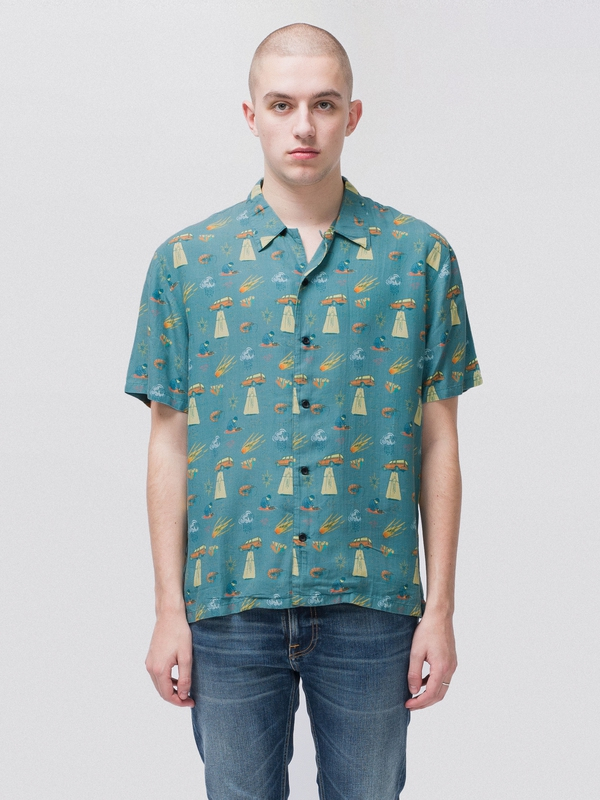 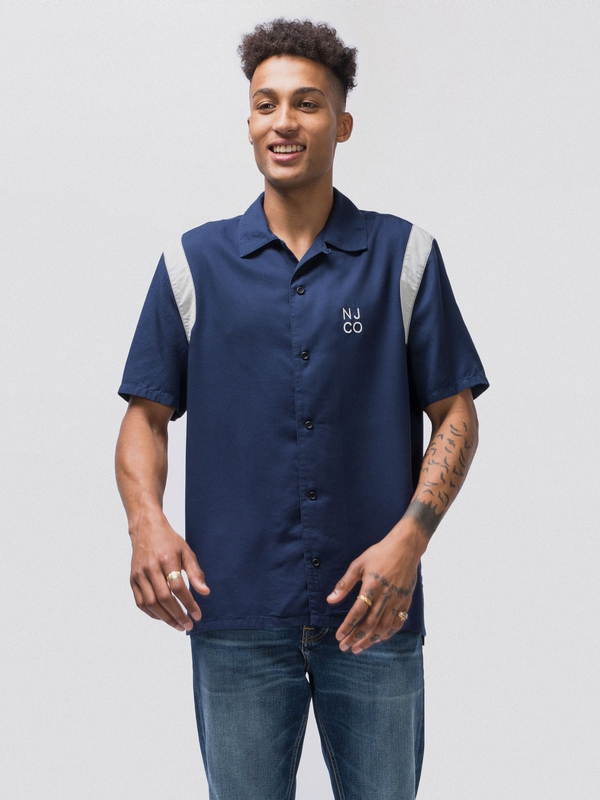 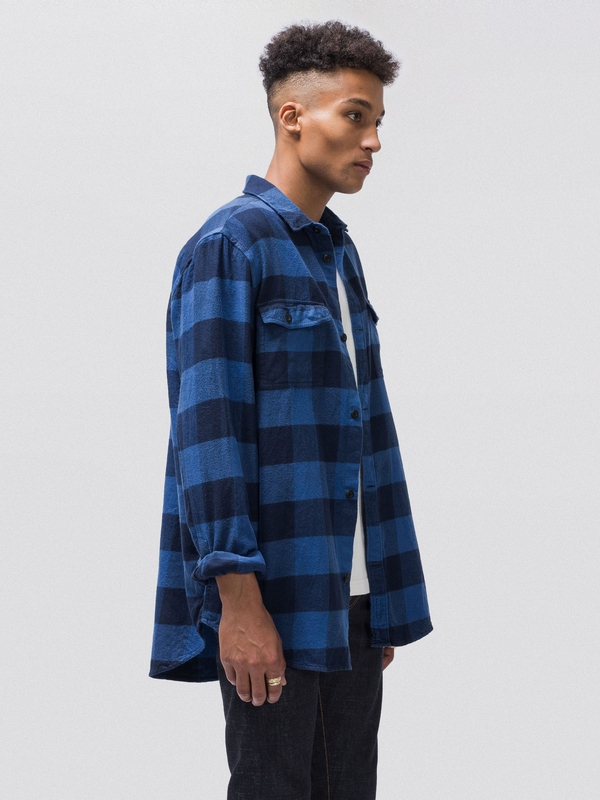 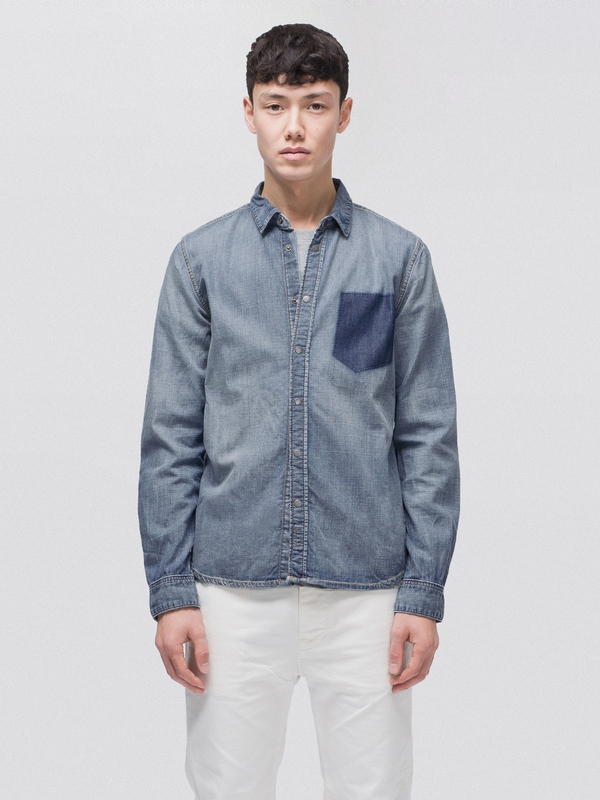 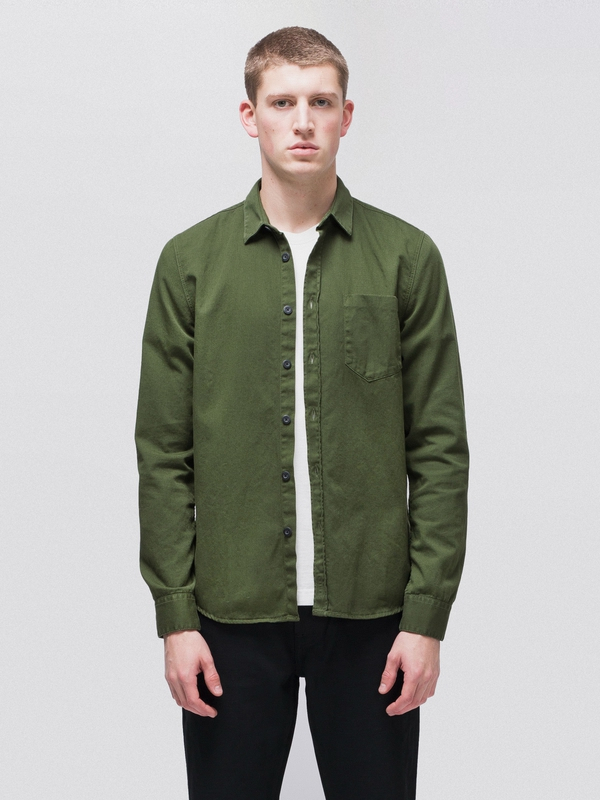 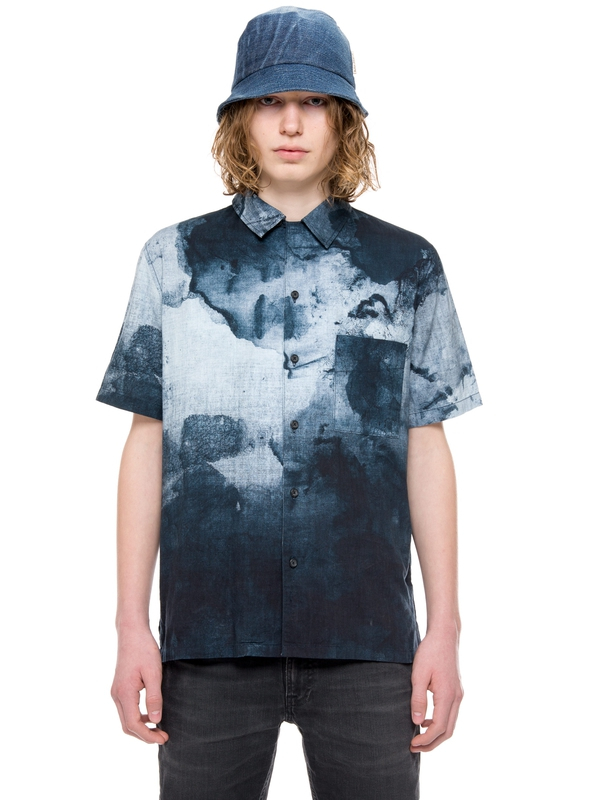 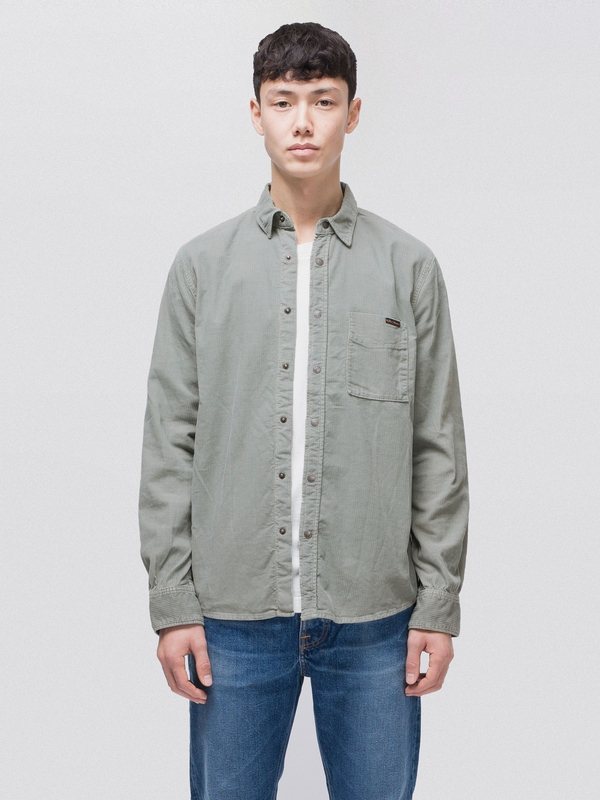 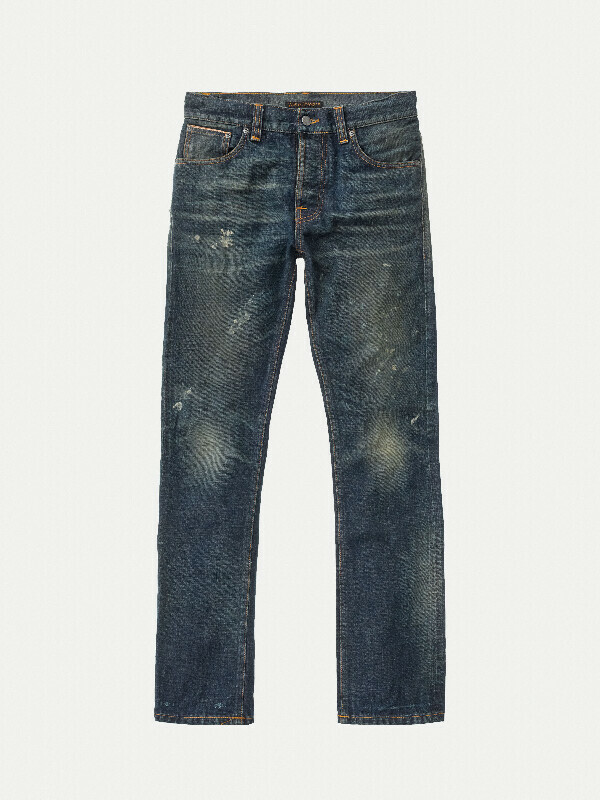 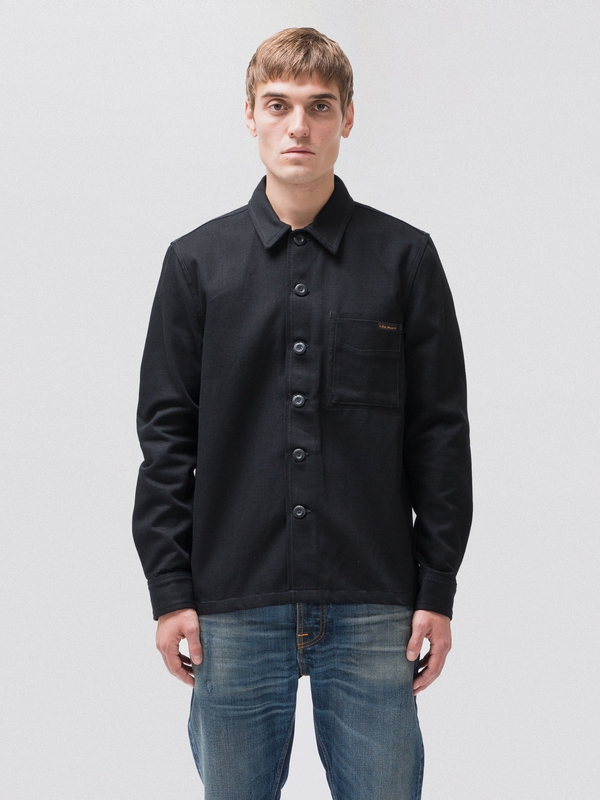 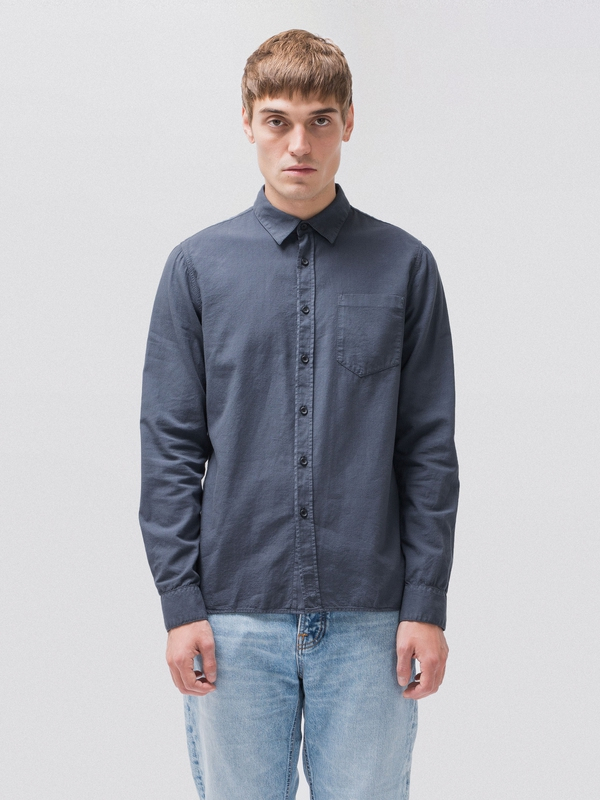 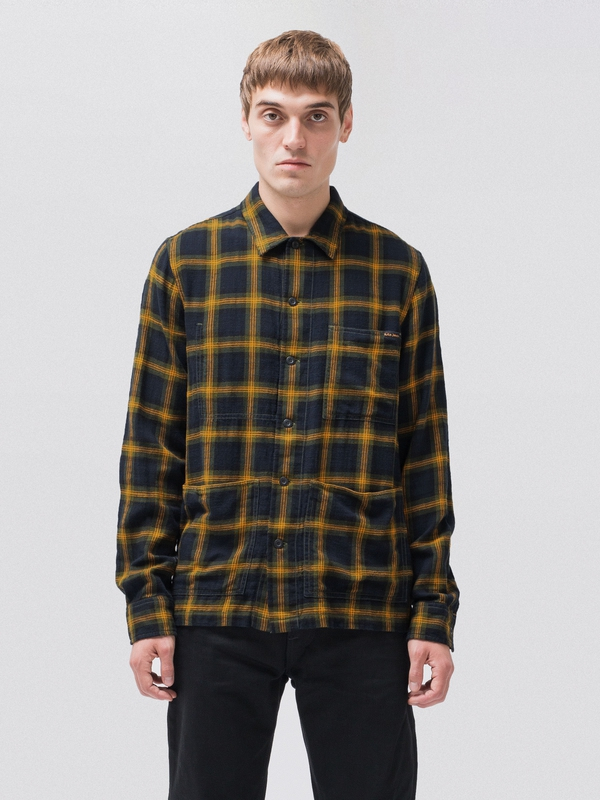 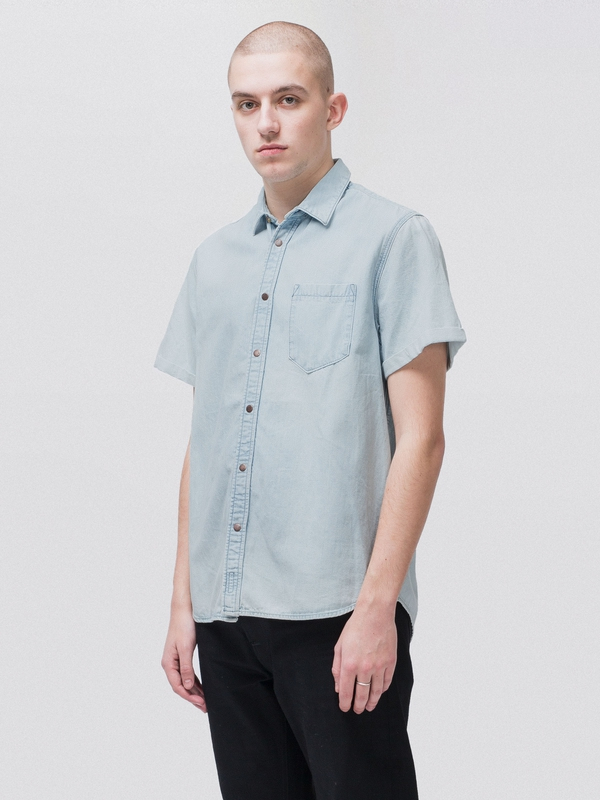 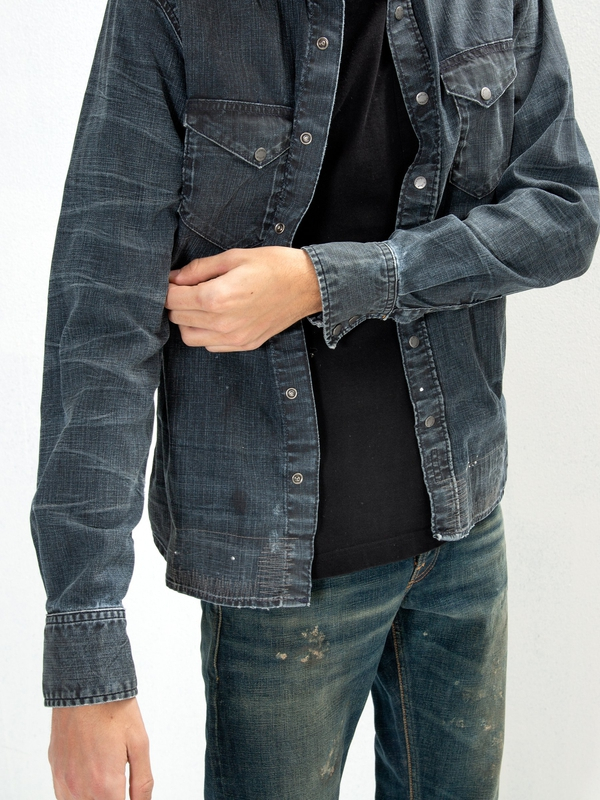 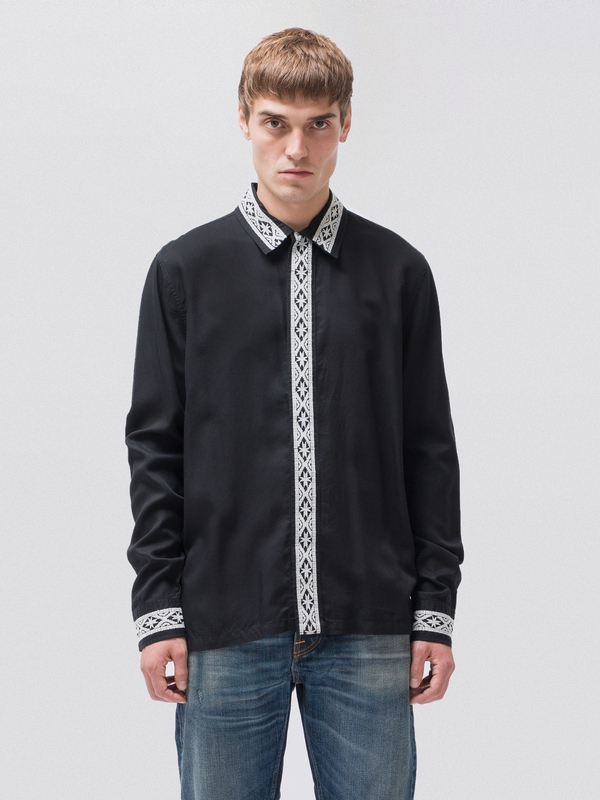 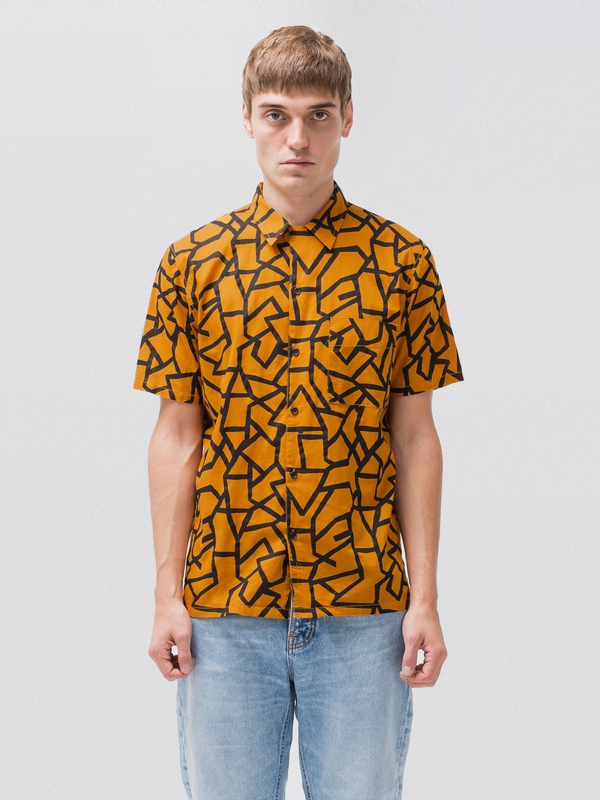 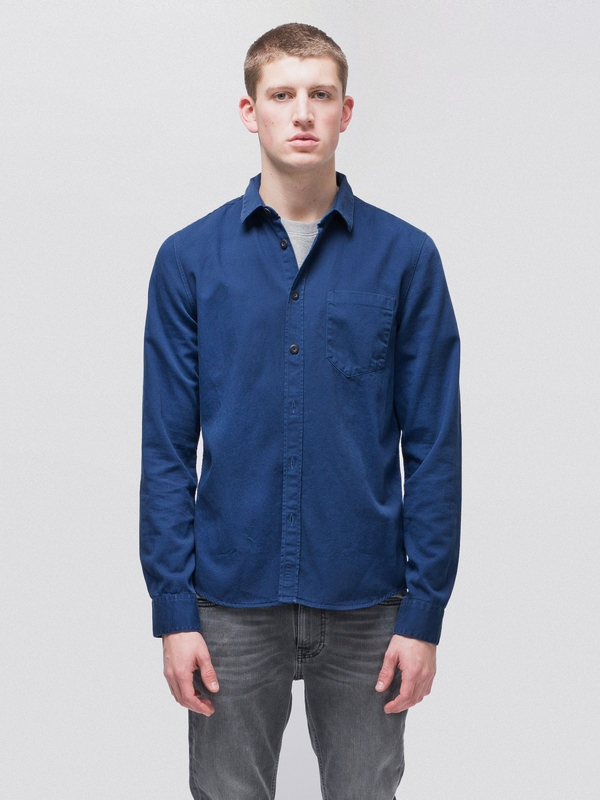 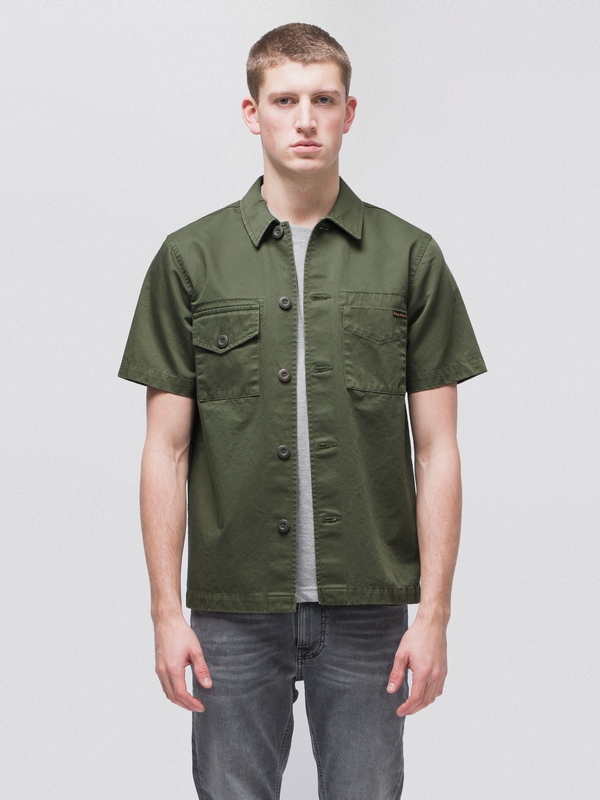 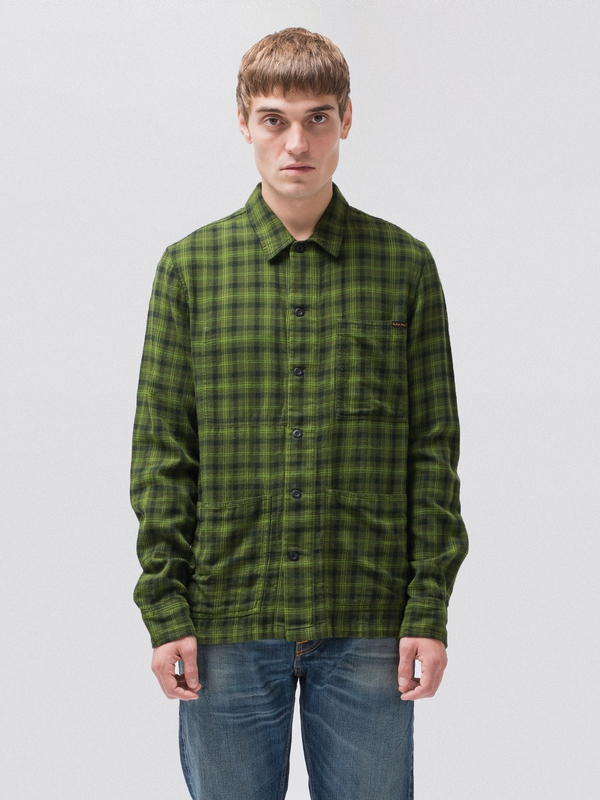 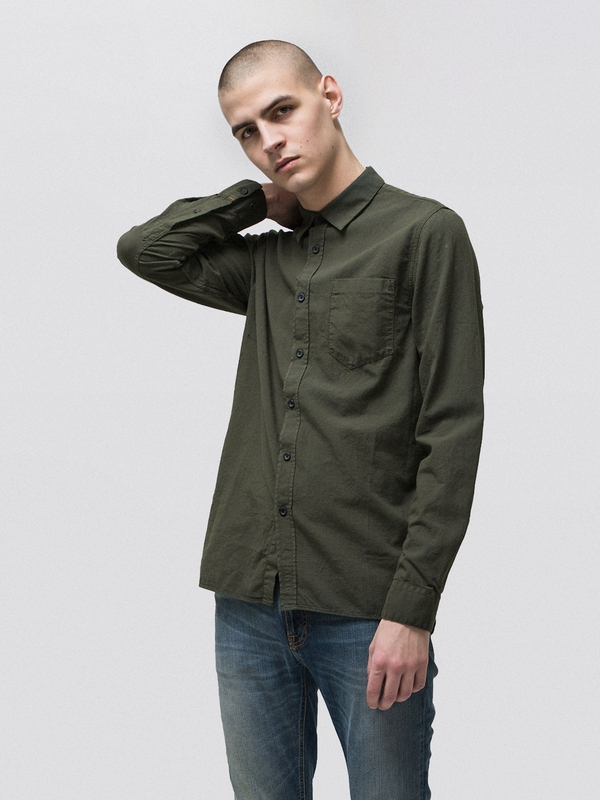 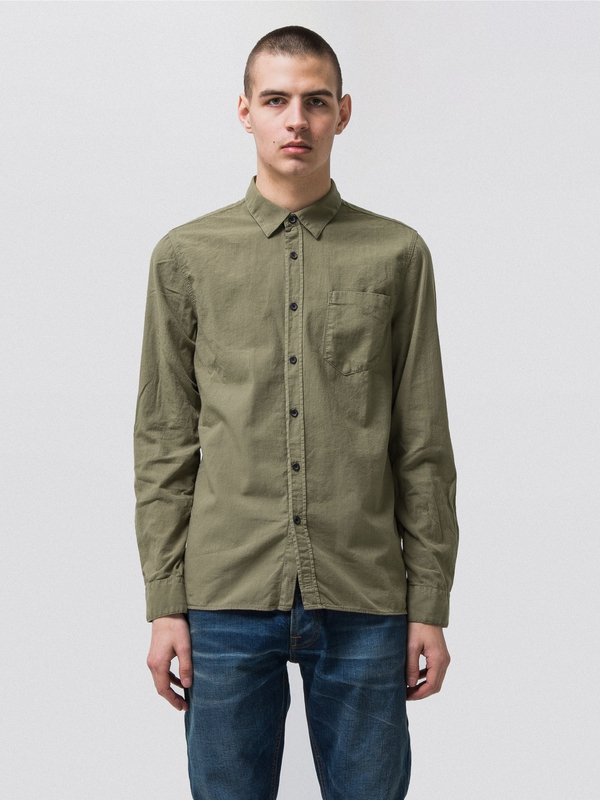 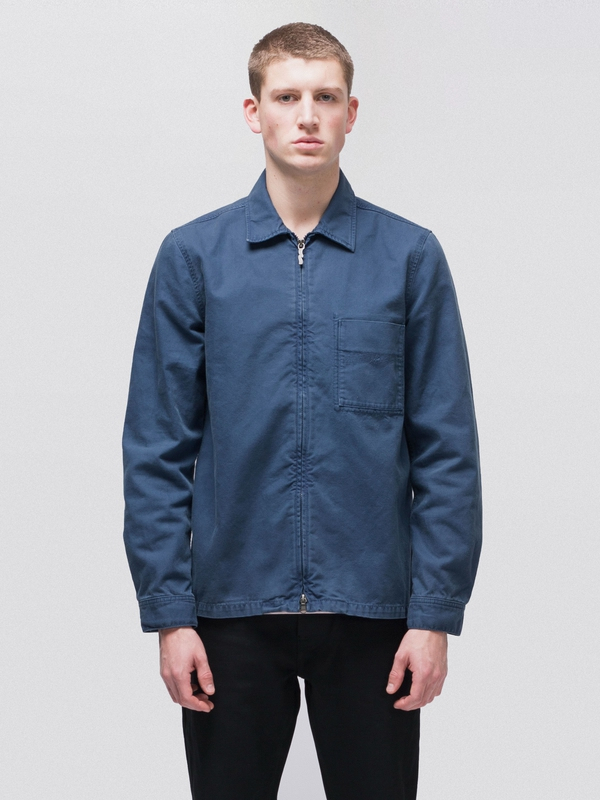 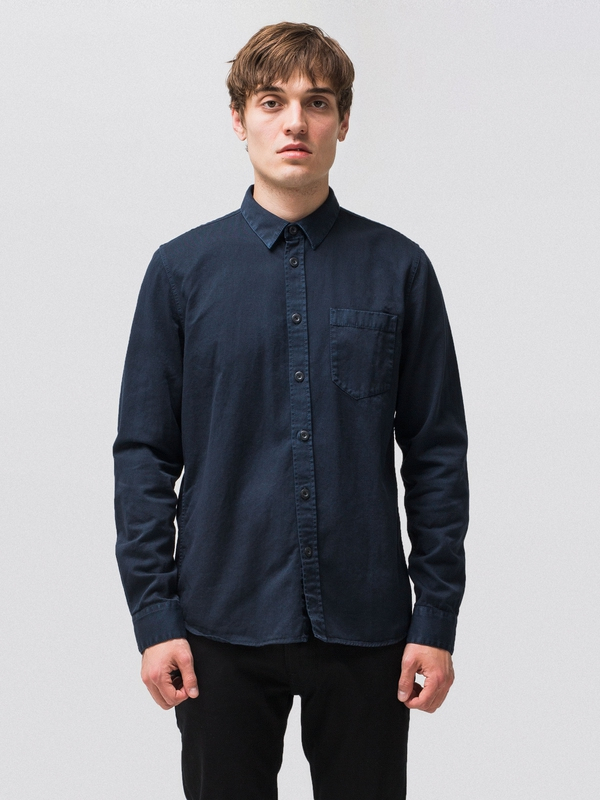 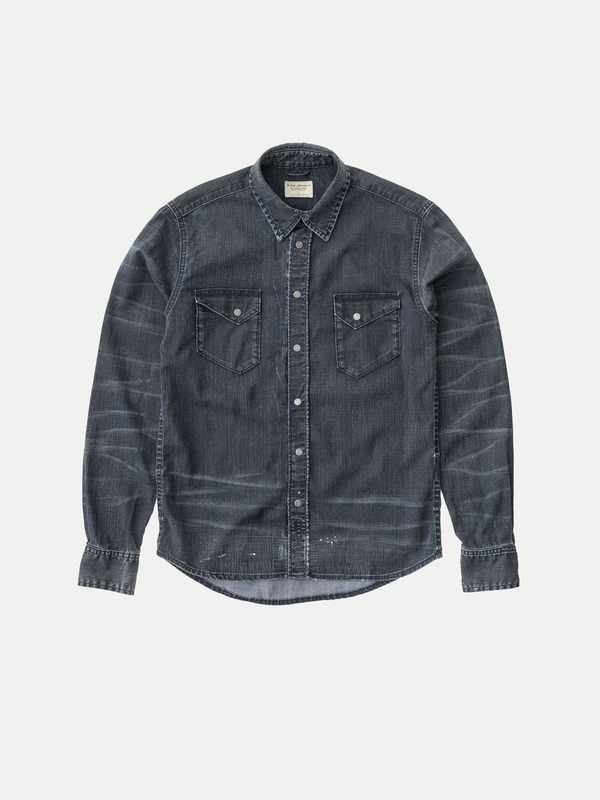 Denim shirt made in light, cool, rigid twill. 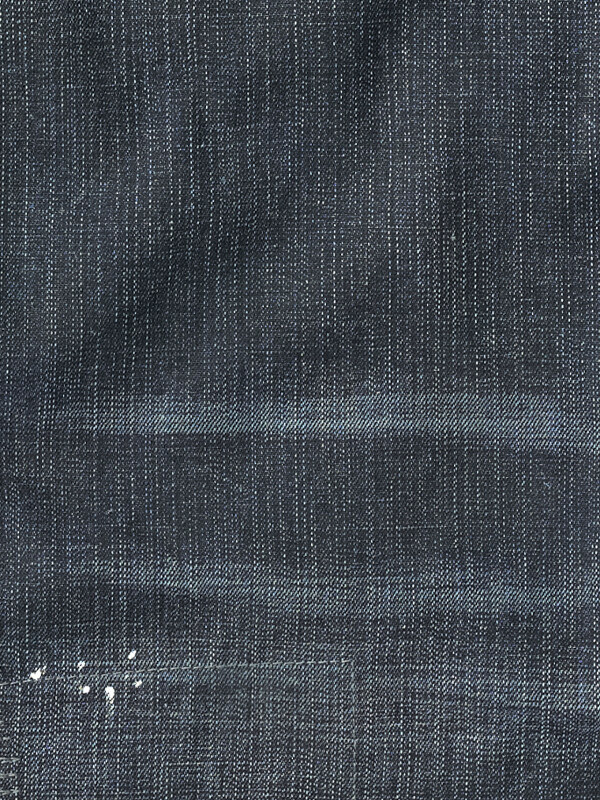 It has a fine streakiness that's revealed by the wash. 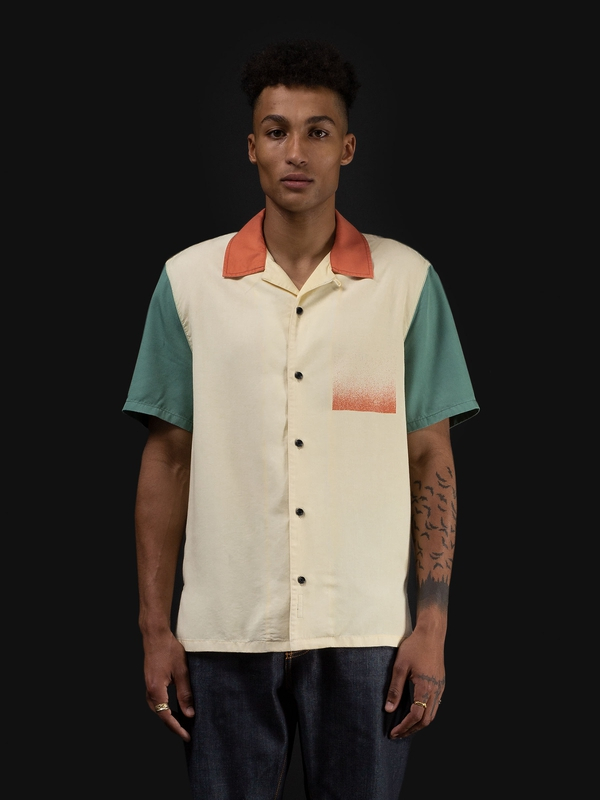 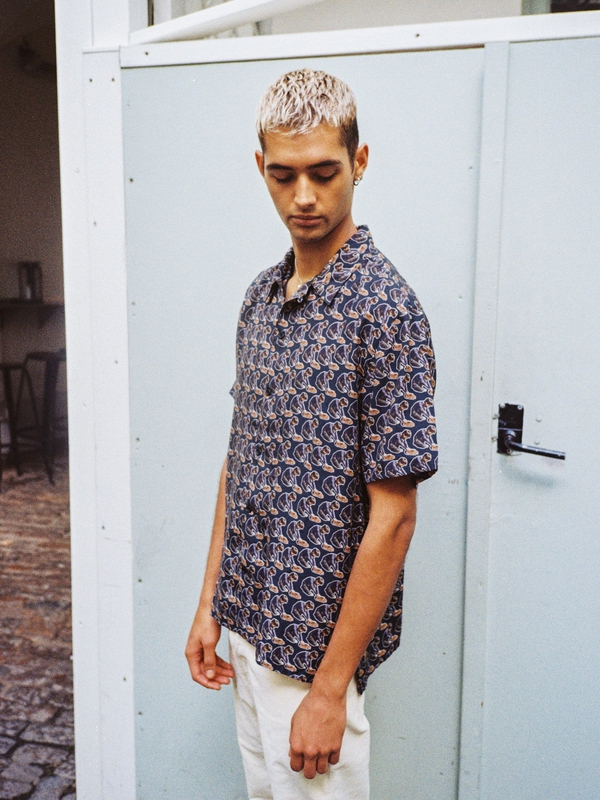 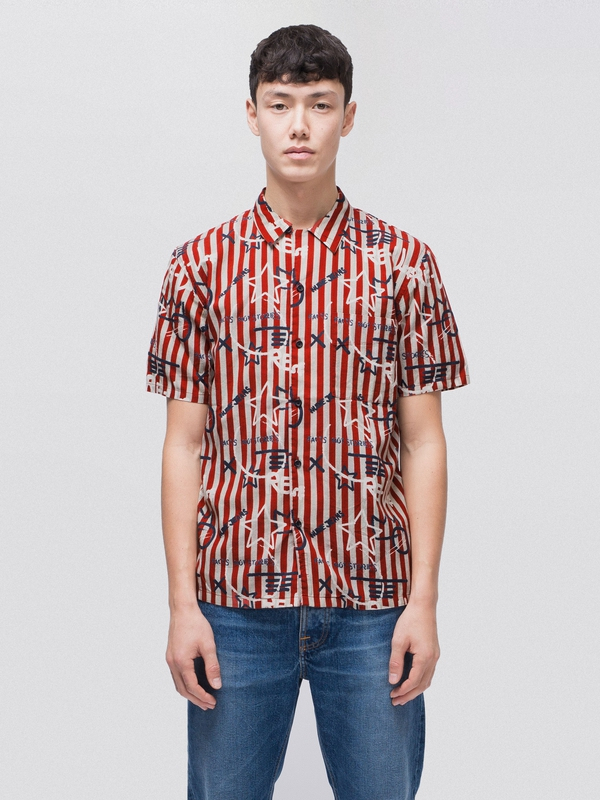 This is a replica of a shirt that belonged to an actual stonemason who wore it at work for five months, before handing it over to us. 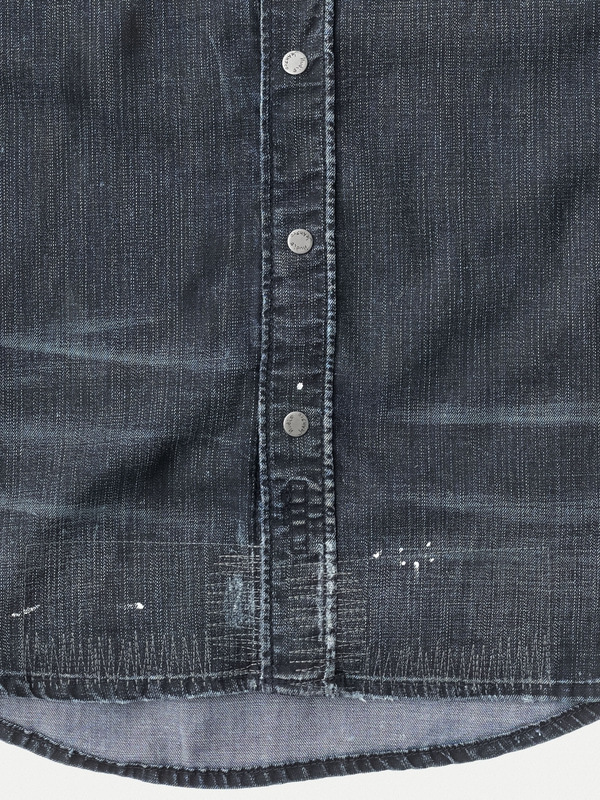 It bears witness of his handicraft and comes with local breakage, stains of what appears to be paint or plaster, and a couple of repairs. 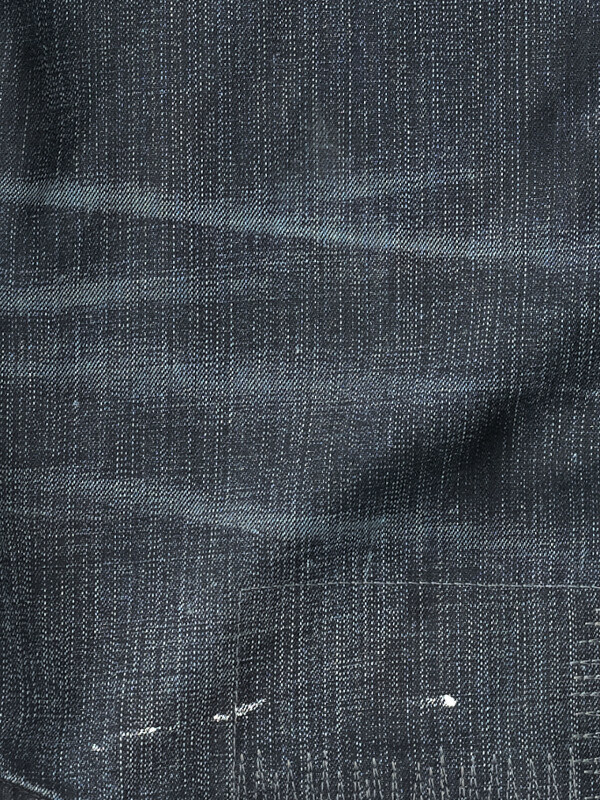 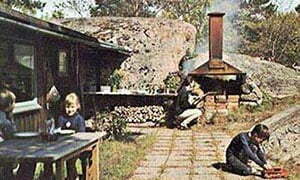 This is a fine opportunity to harvest the fruits of somebody else's labor.